This quote from Mark Nepo resonated with me on a personal level this past week, as a human being living in this world, but I believe it can also be applicable for us as artists. It can be scary to share our thoughts, ideas and imagination with the world unsure as to how they will be received. We cannot learn and grow in our art form without revealing what we have created, trusting the power to lift and land. It is only when we take the chance of lifting into a space larger than ourselves that “these tender things become our wings“. I will be sharing my imagination during Art After Dark at Growing Grounds Downtown Store, San Luis Obispo on Friday, August 5th, from 6pm-9pm along with fellow artist Hannah Tenpas. 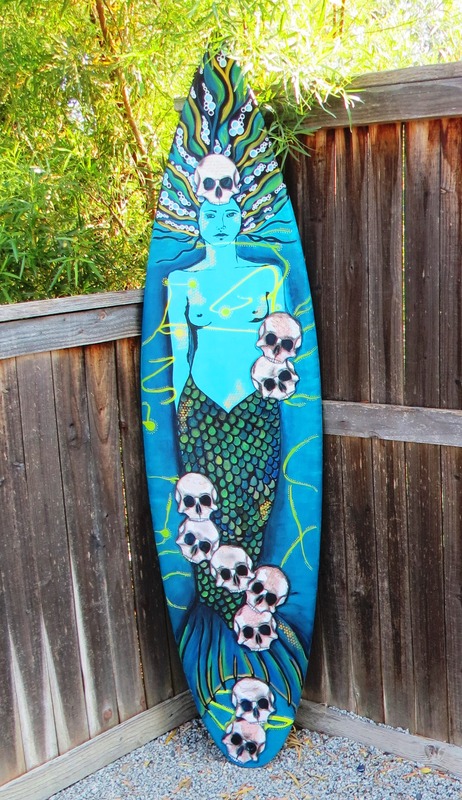 I am also participating in the Morro Bay Surfboard Art Festival running from October 1 – December 1. Don’t miss out on the early bird special of $79.00 for Kara Bullock’s “Creatures Among Us” in which I am a guest teacher. Kara and I are also partnering together to deliver an in-person workshop “Sister Art “ at Jenny Doh’s Studio, Crescendoh this September. Space is still available. Click on the links above or the images below for more information and to register. Finally, I am excited to say that I am participating in David Limrite’s three-month artist mentoring program, “ELEVATE” that will start late August. I will share my process and progress as the course moves forward. I am hoping this will help me spread my wings, take flight and ELEVATE! So, to my fellow artists and other human beings in this world, breathe freely, open your heart and take flight.